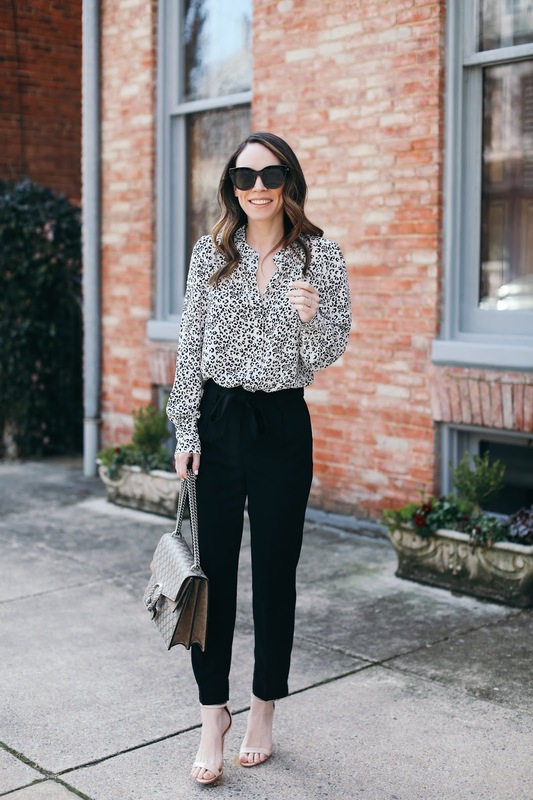 I've had a ton of great feedback on my recent workwear looks on the my blog (see them here), so I will definitely be adding them in from time to time. 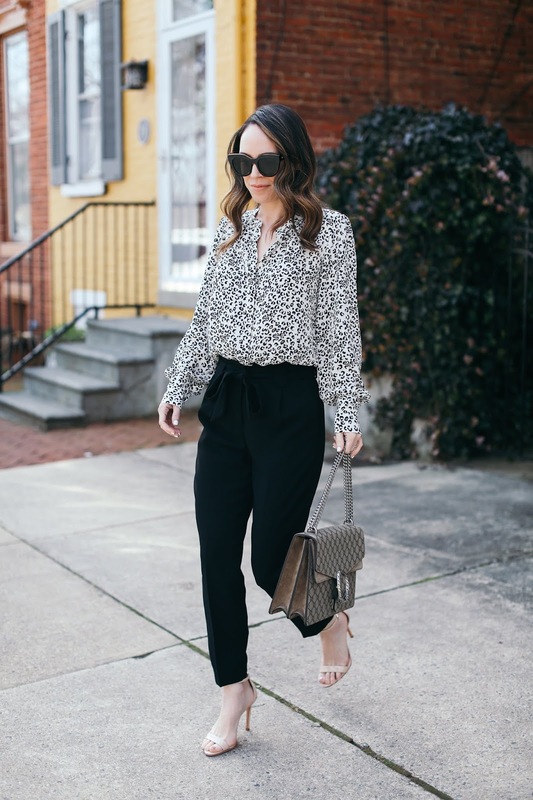 I personally never worked in a formal business environment so most of my experiences back in my corporate days allowed for dressy sandals, sleeveless blouses, etc since I always worked in the beauty industry. This outfit is the exact type of look that I would wear regularly years ago and I still love it. 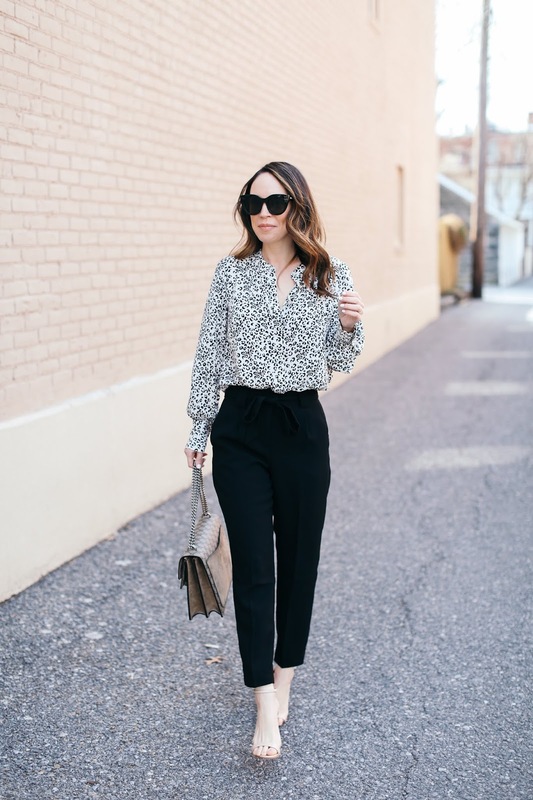 Most of my pants or skirts were simple styles and colors and I would make the outfit more interesting with a printed blouse or one with an interesting fit. I could also then wear my blouses with ripped jeans and fancy heels for a night out, so I always found they served multiple purposes in my wardrobe. These cropped pants could also work for an off duty look with flats/sneakers and a tee, tank or chunky sweater. 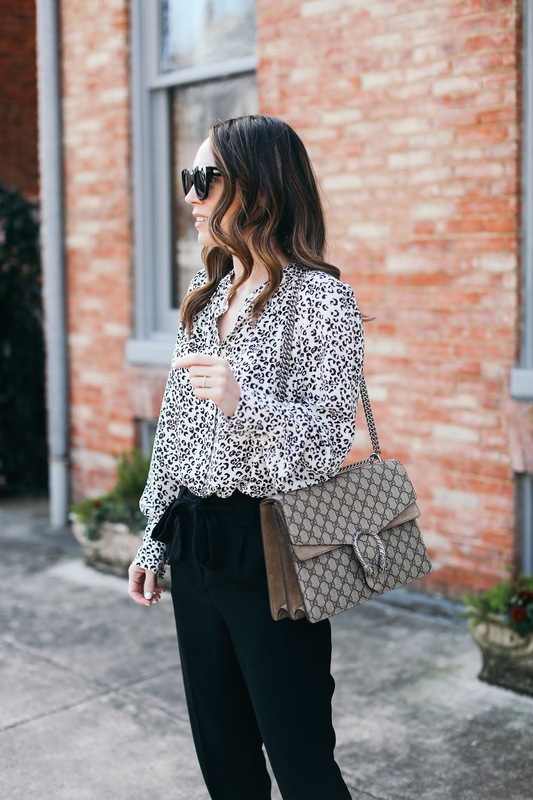 Though I've always had certain outfits for work and others just for weekends, I found that buying pieces which could be interchangeable for both times was the best investment.